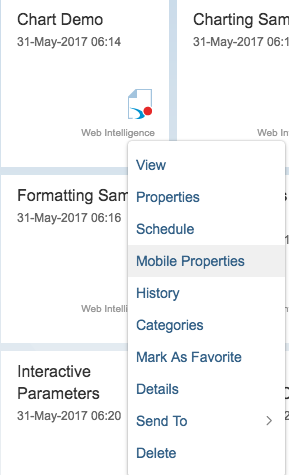 Since last year, when we released SAP BusinessObjects Mobile 6.4 (latest version now available in the App Store is 6.5), we have introduced SAP Lumira 1.x content access on the iPAD with native iOS gestures, to cater to our end users / business users, who are mostly senior management and executives. To provide fluid and stunning user experience and sub second performance, while interacting with SAP Lumira on the devices, we recreated charts and various actions using the native iOS controls. This also gave another critical capability to our users, being able to download the entire Lumira story on the device to access in without any network. Most mobile users are always on the move and many places either don’t have good network or no network at all. And this capability became very crucial for sales rep and others who wanted to be able to access key insights from anywhere. And this is what we refer as ‘Native View’ which is the default view with SAP BusinessObjects Mobile. However, at the same time, we also had a set of users, who wanted the same ‘look and feel’ to the desktop or web view of the Lumira story, also there were few functionalities and charts which was not available in the native view, was important part of their analysis. So we provided an ‘HTML’ view, so that the mobile and Web view of Lumira is consistent on the mobile devices. However, this view is fully online, and there is no offline access possible. If you fall in the above category of users, there are two options to follow to change to HTML view and this applies irrespective of the mobile application version starting from 6.4 (even in the upcoming 6.6 release). You can change the view only for the Lumira Discovery Stories with offline or imported data sources, it does not apply to the Lumira Designer Applications. Open only specific documents in HTML view, which gives the best of both worlds. 2. Select Applications from the dropdown list. 3. 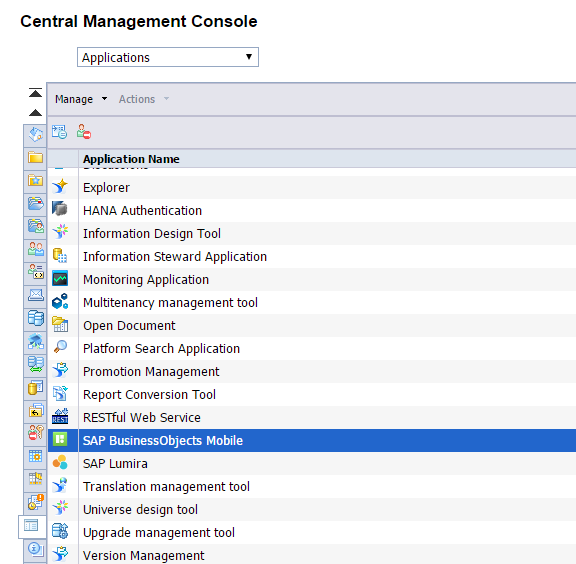 Choose SAP BusinessObjects Mobile from the list that appears as shown in the screenshot below. 4. Choose Client Settings in the left panel. 5. 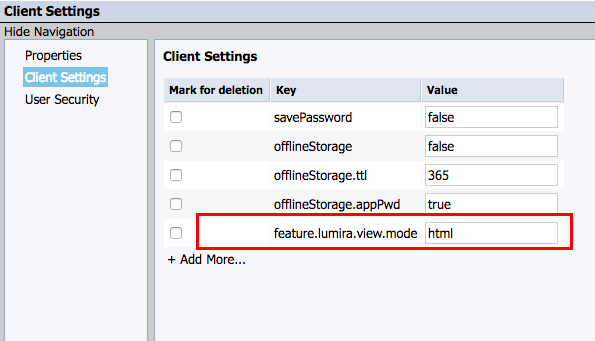 Click + Add More…and enter the parameter feature.lumira.view.mode and enter the value as Html as shown below. 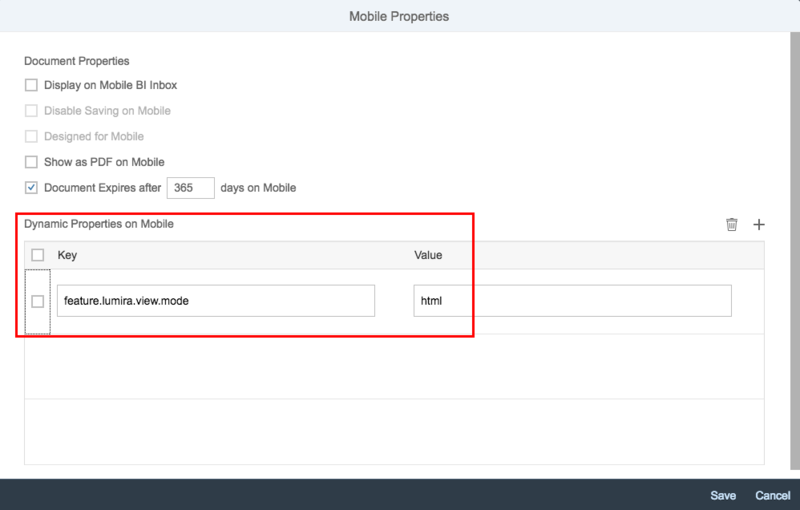 If you would like to learn more about SAP BusinessObjects Mobile, you can refer product documentations. How did you set dynamical properties to the specific lumira document? They don’t have contextual option for this action. “Mobile properties” option is available for all document types except lumx. 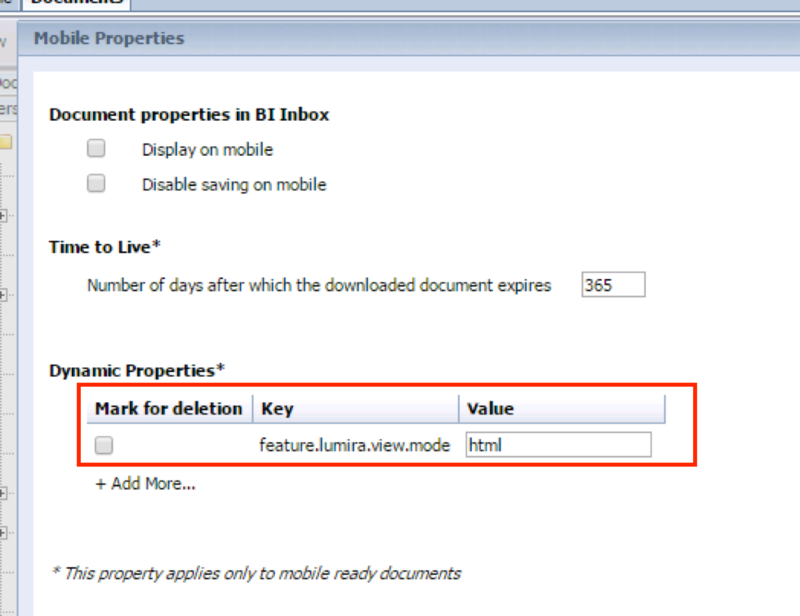 This means that you can open on bi mobile app both types of lumira documents in parallel – native and html, isn’t it? Each document with its own parameter. Maybe we need to use specific BIP version?.. Which BIP server version are you on? Its available on BIP 4.2 also on BIP 4.1 SP07/08/09..